Are your thoughts getting in the way of living your life? Based in cutting-edge neuroscience and cognitive behavioral therapy (CBT), this important workbook will help you regain control from unwanted thoughts and get back to the things that matter. Do you have unwanted, disturbing, upsetting, or weird thoughts that you just can’t seem to shake? Violent or sexual thoughts that cause you to feel ashamed, anxious, or depressed? Maybe you think they mean something about you—and that thought scares you even more. While you may not be able to shut your thoughts off permanently, you can gain distance from them and improve your life. This step-by-step guide will show you how. 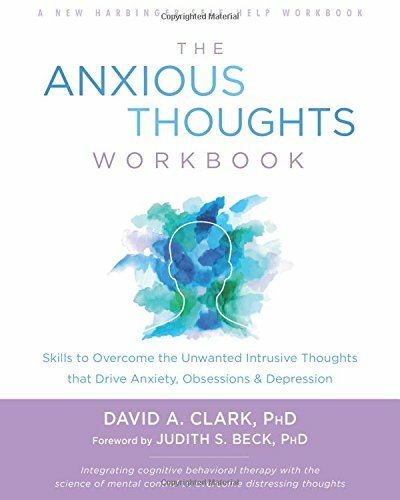 In The Anxious Thoughts Workbook, renowned psychologist David A. Clark presents a targeted, transdiagnostic approach to help you move past unwanted mental intrusions. You’ll learn how to change the destructive patterns responsible for the persistence of anxious and depressive thinking, and strip these upsetting thoughts of their meaning—a process Clark refers to as “detoxing.” Finally, you’ll learn to manage the feelings of shame that can accompany these thoughts. Are you ready to move past your thoughts and start focusing on more important things? If so, the proven-effective techniques in this workbook will help you get started.